Modified Correllian Freighter, Rebel Forces. Background Image: Britain’s own “Death Star” is under construction and will soon be “fully operational”. 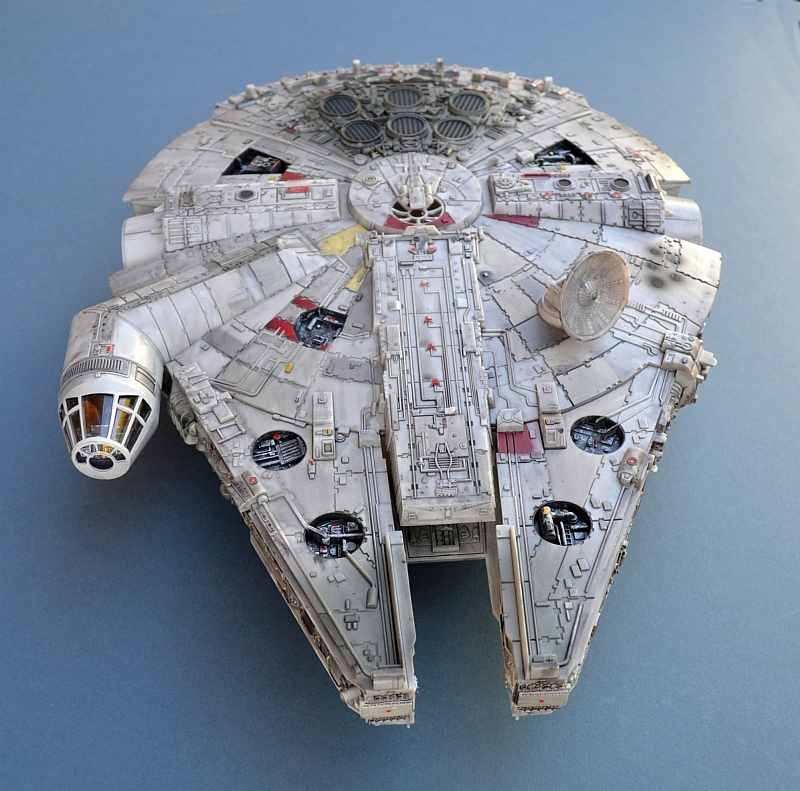 The iconic Millenium Falcon space vessel first hit our silver screens in 1977 as a key component of the original Star Wars film trilogi. 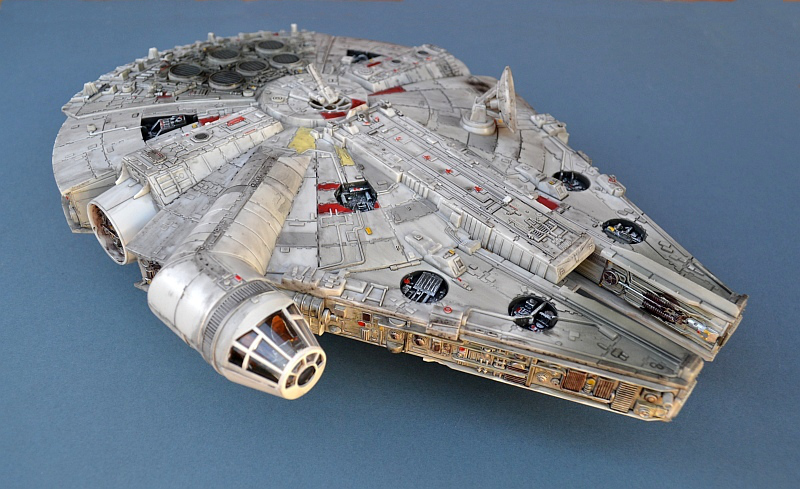 As the home of smuggler Han Solo and his colleague, the Wookie Chewbacca, it played a key part in all three of the original films, setting a new standard for film prop space ships. 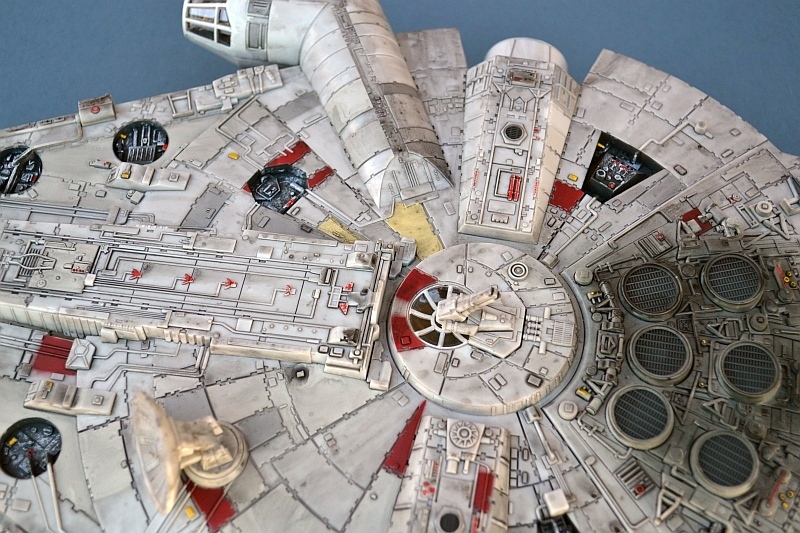 The Star Wars franchise has been incredibly popular since the very first film and has spawned a large number of Star Wars models and figures in many different scales. These tend to be quite expensive for what they are, but remain very popular. 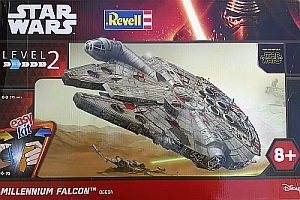 Revell are one of the current license holders and have reissued many of their previous kits (along with some from other manufacturers) in line with the latest film. 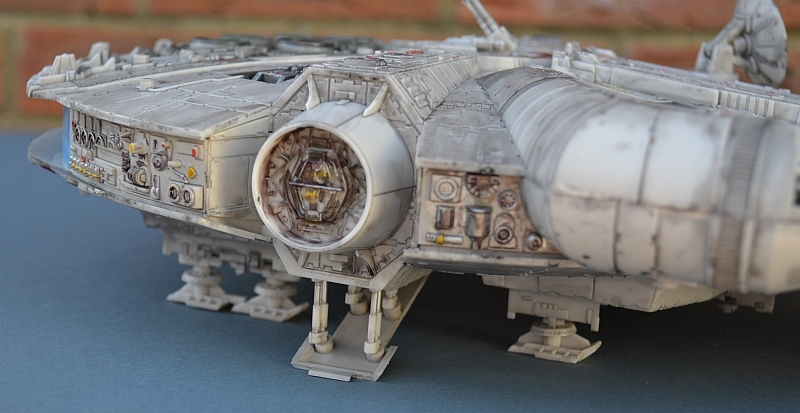 Although some of these are very expensive indeed, they also produce some very nice snap together models that are ideal for the less experienced modeller. Whilst simplified, some of these are really very nice and form a good base for a little imaginative experimentation. This is one of those nice simplified kits. Its full recommended price (£60) is a little difficult to accept, but it is currently available at half this from quite a few sources. Ostensibly in 1/72 scale (the real thing seems to suffer a bit from Tardis syndrome - its larger on the inside than the outside) this release is a snap together (sparsely, but surprisingly effectively) pre-painted kit that can be assembled to form a perfectly reasonable model out the box, probably in a single afternoon. Whilst there are other (more expensive) kits that reflect the film prop(s) more accurately, this one is quite accurate enough for me. 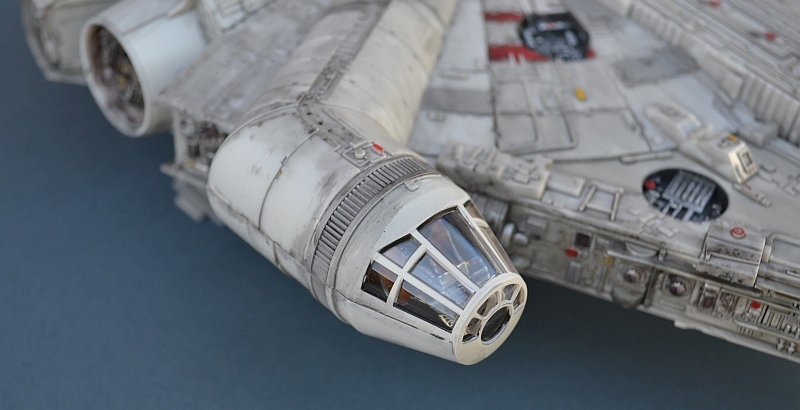 The kit has been released several times before, but this issue includes a new sprue section to cover the changes in the latest film. 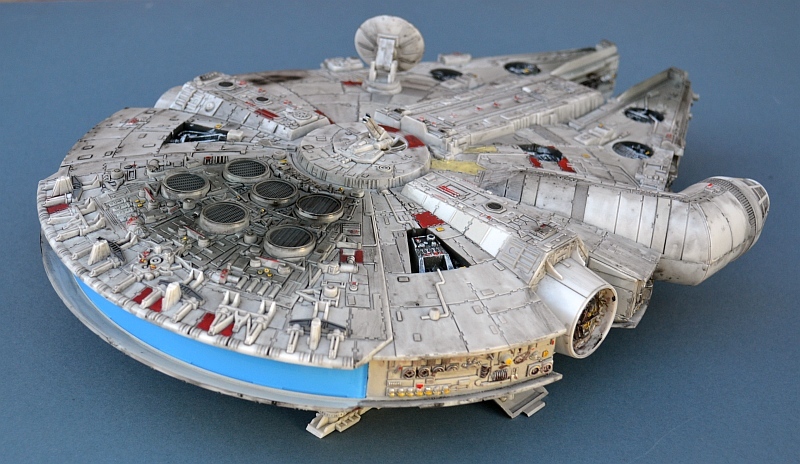 Most of the original parts remain though (but sadly, not the Han Solo and Chewbacca figures). I chose to keep the original dish antenna which looks more credible than its crude rectangular replacement which looks a little too “1940s retro” for me! The top and bottom fuselage halves snap together, so can be split apart later if needed - I’m still toying with the idea of a few internal LED lights - watch this space!